I love Valentine’s Day. And all the days leading up to it when I get to cover my home in garlands, wreaths, and other fun decor. I have a few homemade garlands around the house but decided this year to upgrade and see what else I can find. Below are some of my favorite garlands you can purchase and hang up in no time. These two are my favorites, I’m still trying to decide which one I want to get. 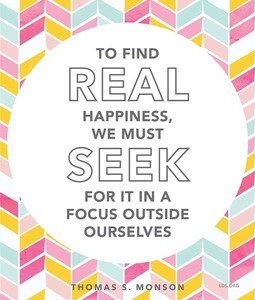 This cute banner is made by If I Were Banners on Etsy. The garland is made with chipboard and twine in a vintage style. 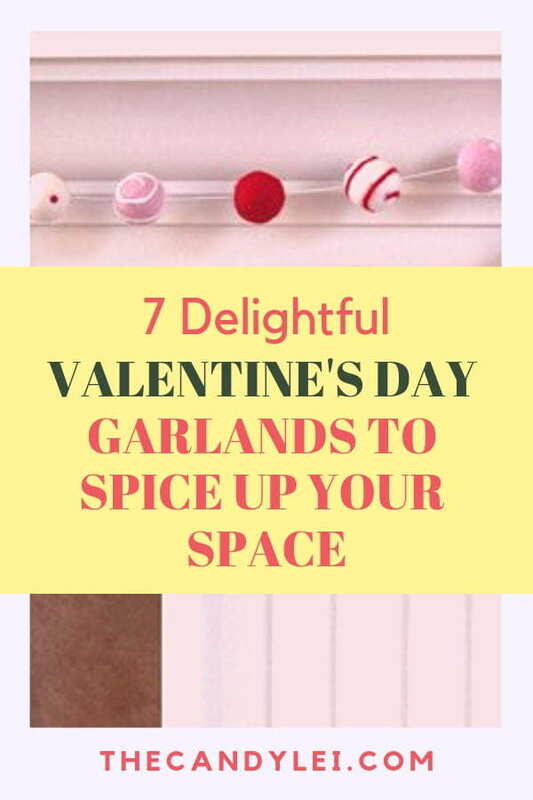 They also have several other styles of Valentine’s Day garlands that are super cute. I love these felt ball garlands. I’ve seen so many of them but the one pictured below is easily my favorite. It’s made by the Etsy shop Matthew & Mae. The felt balls can be adjusted along the line so they can be tailored to your space. 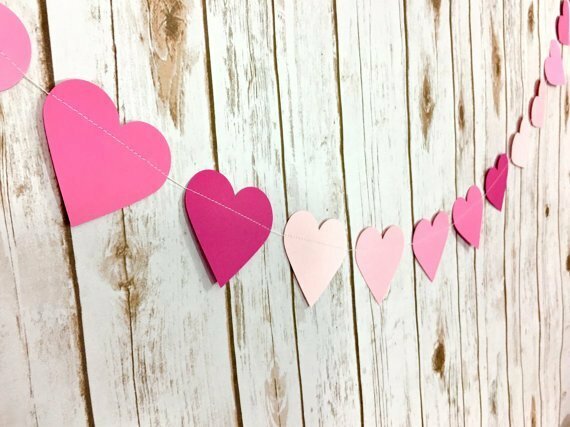 This paper heart garland made in multiple shades of peak is another cute option. This garland is perfect if you’re decorating your home for a party. You can choose the size of hearts you’d like on the garland along with the actual length of the garland. 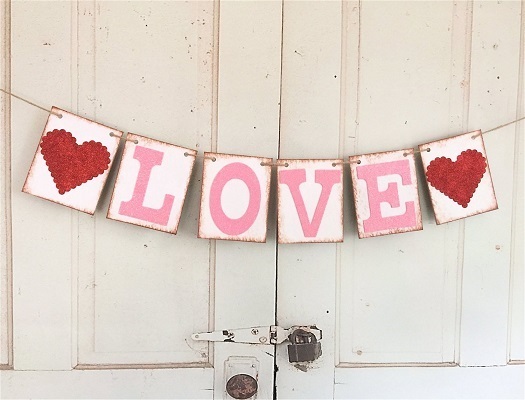 This simple garland is made up of a burlap LOVE sign along with 20 felt hearts. If you’re looking for a really long garland this is a great option as it stretches out over 16 feet. 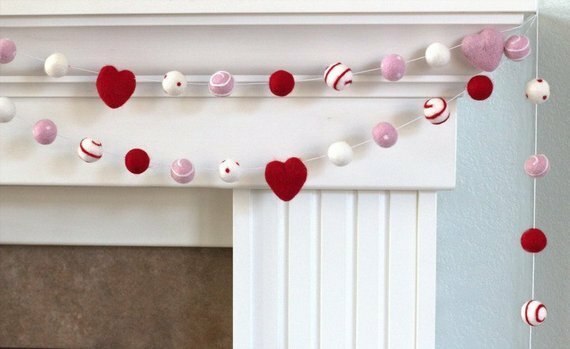 This simple set of heart garlands is a bit of a DIY project. The pack comes with everything you’ll need, you just need to string the hearts on the string using the included plastic needle. If you’re looking for a fun Valentine’s Day project to do with children this is a great option. If you’re looking for a garland to cover a large span or want one with many tight loops this is the perfect garland. The garland is made up of two strands that together span 28 feet. Unlike the previous garland, this one comes completely assembled so there’s no work for you other than hanging it. Ok, so this one isn’t actually a garland, but with a little string, it would be easy to turn into one. This kit comes with a variety of red and pink tissue paper flowers, pom poms, lanterns, and fans. You can use them as wall decor, centerpieces, or even garlands. 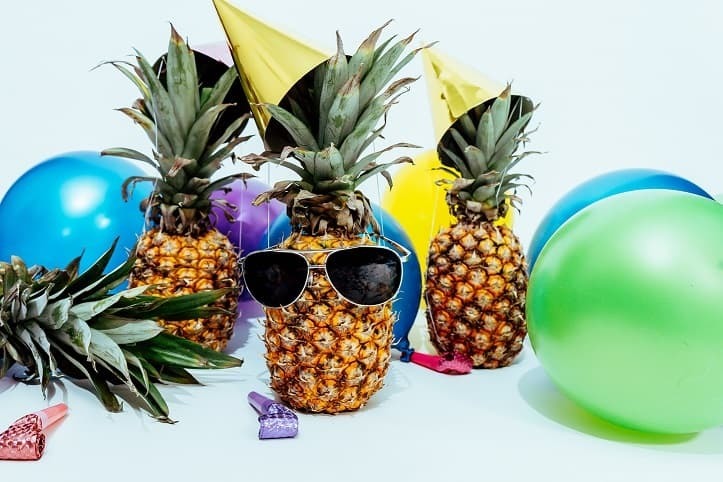 This could also be reused for so many other fun party ideas.